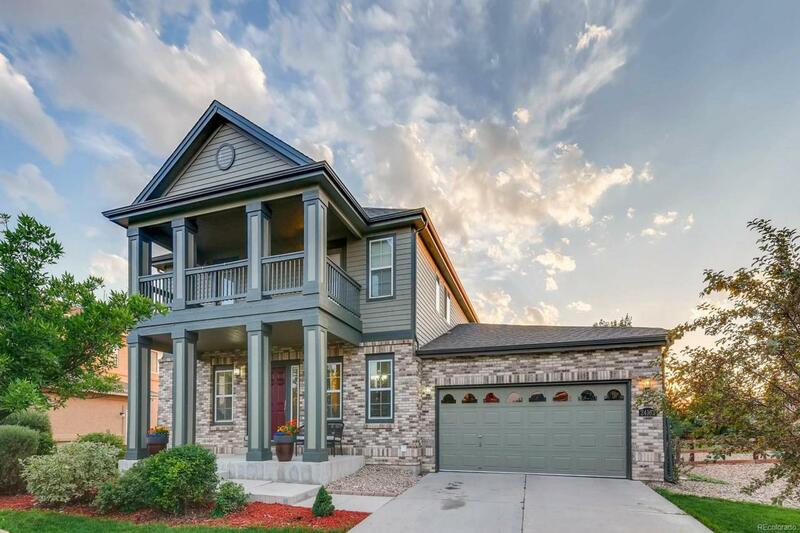 Imagine coming home to this stunningly beautiful home in the heart of Cross Creek! Highly desirable, open floor plan with 5 bedrooms and 4 bathrooms PLUS a finished basement! The main floor offers a gourmet kitchen with a stainless steel appliances and butlers pantry, a mud room, laundry room, formal dining, living room and study. Just off of the kitchen is access to the beautifully landscaped backyard, with plenty of room to entertain on the stamped concrete patio. Upstairs find a beautiful master bedroom with vaulted ceilings, a 5-piece master bath and walk-in closet, 3 additional bedrooms and a second floor balcony. The finished basement has an additional bedroom and bathroom and flex space - perfect for a kids' hangout or guest quarters! Take full advantage of the clubhouse, community pool and easy access to major commuting routes. Conveniently close to Southlands and DIA, and walking distance to Vista Peak campus! Gorgeous inside and out! MUST SEE!